THERE is outrage in Studley after the makers of Pokemon Go placed one of them on the village war memorial. 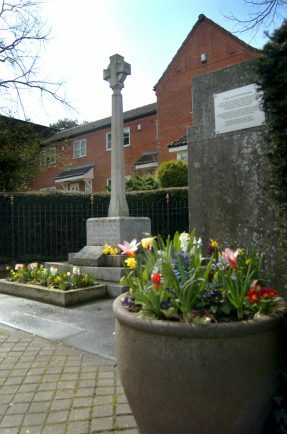 Stunned residents looked on in amazement last weekend as they witnessed groups of children and young adults clambering all over the Alcester Road memorial in search of the ‘pokemon’. The war memorial has carved on it the names of all those from the village who gave their lives for this country in two world wars. Such has been the shock and revulsion that Government minister and Stratford MP Nadhim Zahawi has demanded the firm responsible for Pokemon, Niantic, remove the item from the memorial. “I am shocked that a Pokemon has been put on the war memorial in Studley,” he said. “To incorporate a war memorial into a game trivialises the memorial and is it incredibly disrespectful to the many thousands of men and women who have given their lives to defend this country and its values. Philip Hunt of Studley Royal British Legion, said: “This is an absolute disgrace; I cannot imagine anything more stupid or disrespectful. Chairman of the Parish Council Paul Beaman, who raised the issue at last Tuesday’s parish council meeting, said: “This is totally unacceptable. “We have had children clambering all over the war memorial. I have contacted the company and let them know this is totally inappropriate. Pokemon is a virtual game played on mobile devices whereby players can collect creatures, upgrade them, and battle with other players.